Which film drives you mad when reading the book? For me, it has to be PoA. Now before people start telling me it's the best harry potter film there is, let me tell you that i DO already agree that it was very good. With the prisoner of azkaban movie, you are either expected to love it, or hate it. I loved it, but even so, there were some strong moments in the film which i secerely disliked, and that included the poor chracterisation and pot-holes. With the first two films, i can watch them, then read the books and think (oh, well that's a bit annoying and the books are obviusly better, but they have the same plot, so that's ok) and with GoF, i hated the film at first, but now i have learned to love it for what it is - a film, and can then read the book afterwards as a completely seperate medium - as it's just so different. CoS. I didn't like the first film, but didn't really care for the first book either (not a whole lot happens in it, and the story isn't really clear). But these problems are rectified in CoS which although not as good as some of the later books is a quite entertaining little mystery. Columbus completely butchers it. The film is too long, with way too many unecessary scenes (with necessary ones dragging on too long) which distracts from the real story being told, and is generally lacking imagination. CoS is easily the worst film adaptation in the series. However, the way you word it is a bit of trick question. So I guess the anwser is 'none'. I'm bothered reading none of the books. It is when watching CoS that I am bothered because it just isn't very good on its own merits and it could have been so much better. Last edited by k4r6000; October 23rd, 2006 at 5:34 pm. I know what you mean about CoS there....i feel a simialr way. I just feel it in a different way to PoA. When I read the Shrieking Shack scene and in the book it's Hermione sitting down terified and shaking, whilst Ron tries to stand on his broken leg between Harry and Sirius and says that line, "If you want to kill Harry....."
Then you look at the movie version! Also the Time-turner sequence, in the book it's Harry doing the leading and Hermione is the follower. In the movie it is the opposite. In the book Hermione is stressed out with all her classes but in the movie she is "Super" Hermione. In the book, the boys fight with Hermione for quite a few months and ignore her over the Firebolt and Scabbers. This was reduced to a few dumb lines given to Ron over Scabbers and Cruikshanks. In the book Hermione isn't with the boys when Harry throws snowballs at Draco, it is during their fight. In the movie, Ron is made to be a cowardly wimp, whilst Hermione is "cool" with the whole thing and Laughing. Just a few of many examples that make me mad. PoA defintatly left so many things out and differed way to much from the book, however, I was really upset with the no dolby or winky in GoF. They play an important part of the books and another thing that bugs me in all the movies is no Peeves. Family is like fudge; It's mostly sweet, but it can have some nuts! CoS, I would say SS too, but that one you just kind of have to forgive because it's the first movie that "started it all," and so is kind of a cultural marker. CoS book wasn't the best by itself, but the movie was just so drawn out, so boring, so unnecessarily close to the book that I can't hardly even describe it in words. In the book, at least there were breaks from the never ending plot, like Nearly Headless Nick's Deathday Party, that sort of added some comic relief to it all. But the movie... just was so.... ugh. I should point out that all the films drive me mad when I'm reading the book. I mean if I'm reading the book, I don't want to be disturbed with other activities...especially the telelvision blaring on. I never realized that PoA was considered a poorly maintained road or highway. Why is that ever important? The problem shown in this is that if we give it to Ron, then wouldn't it be a tad out of character for him (movie wise) when this guy who's generally the comedic foil, suddenly grows a backbone and defends Harry? Ron has proven himself to be brave in PS as well with CoS. No need to revisit it in PoA considering that he doesn't actually do anything to help Harry in the end. Ok so we have Harry not knowing what's going on and just learning about the time turner and Hermione who had the experience of all school year to avoid, make up excuses and generally work with the time turner. Who do you think should really take the lead during the time turner sequence? The person with no experience at all or the person who would be more composed and familiar with using the time turner and any situations that arise from it? The reason why Hermione was "stressed out" with all her classes is to point out that something peculiar was happening with her. That something was making her capable of being to take multiple classes at the same time. There were 3 instances in the movie in which they discussed how was it possible that Hermione could take multiple classes. When going to Care of Magical Creatures; and the two instances of Hermione instantlly appearing in DADA class without Harry or Ron noticing. They did not have to cover all instances of the effects of Hermione's Time Turner uses. Why would the fighting between the boys and Hermione be any more important to the film? Would you rather they take out the instances of Ron and Hermione having awkward romantic encounters which just cement the whole Ron and Hermione romance for two instances of grudges? Considering the length of the film, the grudge would probably last only 5 minutes or 3 scenes at most before they have to reunite again as a happy trio. That seems a bit too much like a rollercoaster ride of trio emotion to me...especially when trio dynamics were not the center of attention for the plot of the film. Ron isn't the brightest of the Trio. He is clever at times, a good strategist but he's not exactly the quickest on the uptake. Considering that the "ghost" was playing with Ron's tassles on his hat, I'd be pretty scared as well. Not going through the names of First Years during the sorting ceremony alphabetically. During the Moutain Troll attack, Ron does the spell for levitation on the club, however he does a "forehand" sweep before the flick. Hermione actually doing it properly is shown to have done a "backhand" sweep before the flick. Totally inaccurate, how can two different techniques result in the same spell? Harry making angry faces during the first half of the Quidditch game and not doing anything He's just floating there. Now granted he's the seeker, but I distinctly remembered him flying at least a bit while the dirty pool were going on in the book. As for other people I found it increidibly bizarre why McGonagall would have worried concerned looks when a completely illegal move was happening in front of her eyes, Hermione seems to be able to circumnavigate the stadium and climb what seems to be about 7 stories to the Professor's box and foil the hex in 40 seconds. And who says Hermione's *just* a bookworm? Those people complaining about Super-Hermione from PoA should really pay attention to super-speed present here. And where is Lee's commentary? There isn't any. Regarding Quiddith tt is sort of weird how Harry is introduced, he is seen trying to catch a Chaser with the Quaffle. Not a productive use of time as a Seeker now is it Harry? More weird, Oliver Wood, the Keeper, was seen about halfway across the field to warn Harry. Shouldn't he really be minding the goal instead? I dislike having Harry actually speak Parseltongue right off the bat. Him hissing not only sounded a bit on the comedic side, it hardly built up any sort of suspense for the next scene which was the reveal of Harry's linguistic talent. I mean had they shown Harry just talking normally, I think it would have made for better engagement with the audience. To somehow relate with Harry as to why is everyone so wierded out at Harry trying to save Justin Finch-Fletchly from the snake. Not only that, it would have made the reveal that he's a parselmouth all the more shocking or important in the next scene or perhaps when he actually opens the sink to the Chamber of Secrets. Even if it might have left the audience wondering what exactly parseltongue sounded like...and it's far too late to revisit that aspect of the movie, they could have easily just slapped in a small little flashback of the previous scene, but this time from Ron and Hermione's perspective (or even the crowd perspective) of Harry hissing away. I mean if the movie is supposed to show what Harry is feeling and experiencing, this part of the movie made me feel more like the crowd than Harry. When Harry get's the Diary I wonder how Harry was ever compelled to write in the darn thing or even to start writing in it. I mean sure...Harry's a bright kid and all but there never seemed to be a real motivating factor for him to say; "Ok...I found a weird little diary in the girl's flooded bathroom. I guess since we made polyjuice potion in there, I should investigate further this Diary. Hmmm...there's nothing in it. I think the best course of action is to WRITE IN IT!" There's just no explanation for why he does it aside that he does it. It's like suspicion without motivation. Last edited by DarwinMayflower; October 24th, 2006 at 2:37 am. I was only frustrated with Goblet of Fire in that they focused on some of the wrong things and could have made more changes to condense the movie neatly instead of making it seem so choppy. With POA they also should have focused on sertain things from a different perspective (Sirius/Dog, Scabbers vs. Crookshanks) that would have helped tell the story better. Sirius Black was downplayed so much (both as a convict AND as the mysterious black dog stalking Harry) that it made you forget what the purpose was of having the dementors around at times. The dry quarel between Ron and Hermione about their pets was also poorly done and I was surprised they didn't go with developing that stuff by SHOWING--not telling--showing us the entertaining cat and mouse chase that took place in the great hall in the book. It also would have been more beneficial if the transition scenes were little comedic snippets of scabbers being mischievous--instead of showing us the womping willow over and over again. That way, viewers would still see it as plot-free artsy bits, but it would be all about making the rat more prominent for no apparent reason only to then discover that there was an important reason for keeping the stupid rat fresh in our minds all along. Just my opinion though. I never read the first two books. GoF, because they cut so many things. Its funny, my mom just finished reading all the books in Spanish and she completely agrees with me, and not just because I'm her daughter. She says that it doesn't do justice to the book and I agree. I'm just hoping that the film makers have learned and that OotP will be better than all the films. That's my POV. I'm a Harry Potter fan, want to do something about it!? COS, mainly because of the way they handled Ginny. She was absent from the film between Diagon Alley and the attack on Hermione, during whichtime JKR put several clues in the novel that she was the one who opened the Chamber. In the movie, the fact that Ginny is the culprit comes completely out of the blue. For clarification, the willow never ate birds. It hit it out of the air one time, and another time it snuffed it out of existence. Also that wasn't half the movie, the film was 141 minutes, and instances that invovled the Willow actually hurting birds were probably a minute at most. As for actual appearances of the willow, that was probably less than 3 minutes pre-let's enter the whomping willow, and at most 10 minutes involving the actual willow fight. I will rewatch PoA just to clarify, but I'm 100% sure that half of the movie did not involve whomping willow specifically eating birds, let alone screentime for Whomping Willow appearances. The willow emphasized the theme of time in POA by showing it in the various seasons. Also, if the willow hadn't been seen earlier in the film, then it wouldn't have made any sense when the Trio encounter it. I don't really like the movies. The only decent one was the COS, that stayed pretty loyal to the book. The worst had to have been POA. The acting was the worse I'd seen in a while, they cut way too much out, and they changed it way too much. It was horrible. The GOF could have also been much better. What made me curious is that the GOF book was over 400 pages longer than the COS yet they made the movie 15 minutes shorter. If I had to pick a single movie, it would be Goblet of Fire. There were SO MANY things that bothered me about that movie, to list them here would be a painful exercise. But what REALLY bothers me is the differences between the movies. The fat lady should stay the same. The castle should stay the same. Hagrid's hut should stay the same. The Whomping Willow should stay the same. Why does each director feel the need to reinvent the wheel when they make another movie? * When Harry get's the Diary I wonder how Harry was ever compelled to write in the darn thing or even to start writing in it. I mean sure...Harry's a bright kid and all but there never seemed to be a real motivating factor for him to say; "Ok...I found a weird little diary in the girl's flooded bathroom. I guess since we made polyjuice potion in there, I should investigate further this Diary. Hmmm...there's nothing in it. I think the best course of action is to WRITE IN IT!" There's just no explanation for why he does it aside that he does it. It's like suspicion without motivation. Why does each director feel the need to reinvent the wheel when they make another movie? Last edited by k4r6000; October 24th, 2006 at 4:30 am. I would have to say PoA, though I still liked it. 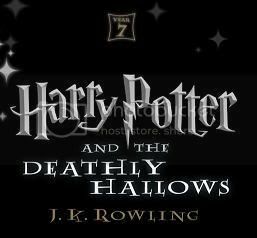 It's my second favourite book in the series(after GoF), and I felt that there were too many details omitted and things were changed too much; I know that the movie can't fit in all of the book, but it could have been a little more detailed, at least for those who haven't read the book(when I watched it with my brother, I had to explain so much to him 'cause he was totally lost). I happen to think Chris did a great job. He set the bar. Also, the movie that gets me really mad is PoA. It's my favorite book (or one of hehe) and I feel it was totally and completely butchered. Choppy, inconsistant, and totally not like the book. If I'm not comparing it to the book I'd say it was an ok movie (and even there, I'd say the first two were better). But you really can't do that as these movies are based quite literally on books. Someone should shoot Cuaron in the head. (ok I'm done bashing lol). GoF was really good though. Last edited by GlassRoses314; October 24th, 2006 at 8:13 am.